This fabulous Snowballs in Winter Nikki Lissoni Coin is a great way to add some festivity and winter sparkle to your Nikki collection. 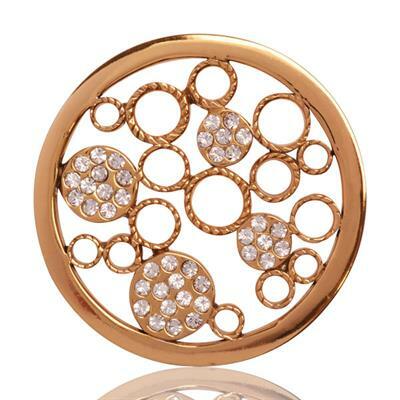 This beautiful design is plated in Yellow Gold and detailed with sparkling Swarovski crystals to create a chic snowballs effect. Wear this stylish Coin with a combination of Gold, Rose Gold and Silver chains and carriers for a unique collection that can change your look day to day.